The V neck sweater is extremely dynamic and sophisticated. It is very versatile and can be worn casually as well as in a formal setting. Thus making it a very popular choice whilst buying a sweater. Therefore all of the winter wear brands have a lot of options and designs in this particular style of sweaters. A lot of options does give you a lot of choices but also creates a lot of confusions. And shopping, guys, is supposed to be enjoyable and stress free. So to make this selection process easier for you we have come up with a kind of a check list, a couple of things that you need to keep in mind when buying a V neck sweater. Fit: The first and foremost thing to keep in mind is that which fits well looks great. So how should the sweater fit? It should not be tight. Keep in mind that sweaters shrink a little after the first wash. Also if it’s too tight it will create issues when you want to layer your outfits. If your sweater is loose, you will end up looking bulky.For checking the fit check the arms, the seams should fall in shape with your body and shoulders. Sleeves: V necks usually have elastic bands at the bottom near the waist and sleeves. These should adjust naturally to your waist and writs. If the bands stretch then that sweater is not your right fit. The sleeves should not be loose and should be such that they can be easily rolled up. Fabric: If you live in a place with really cold winters then opt for a V neck in wool. If the weather is not that cold then you can opt for a mix blend. Colour: Now this is your personal choice. Pick the colour that you like the most but keep in mind that darker colours look good in winters and lighter shades in winters and also blue and black are perfect choices for work wear. Design: Last but not the least, the design. While Argyles look great don’t pick something too loud. 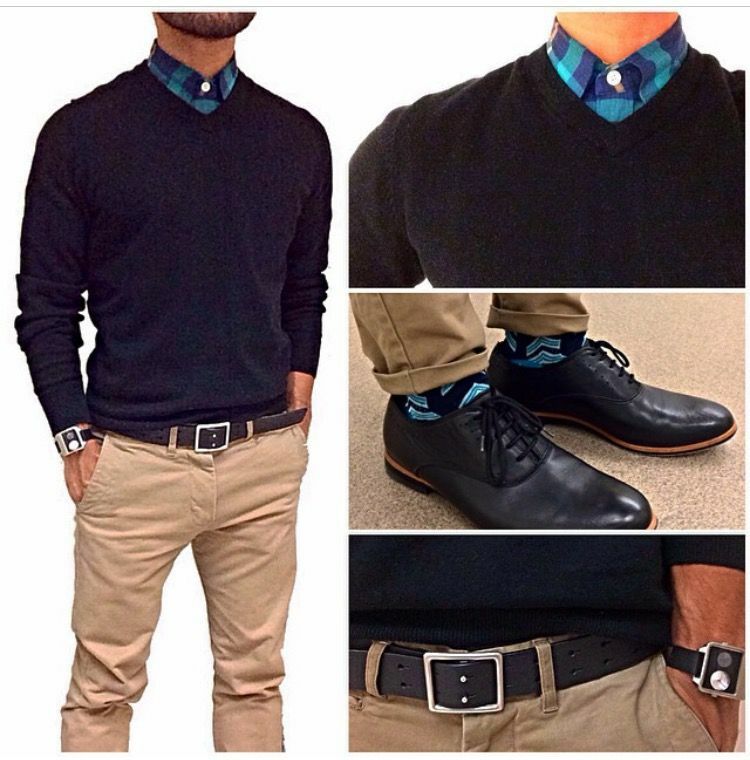 Solid or plain V neck sweaters look sharp and offer more flexibility. Hope these points will prove helpful to you!